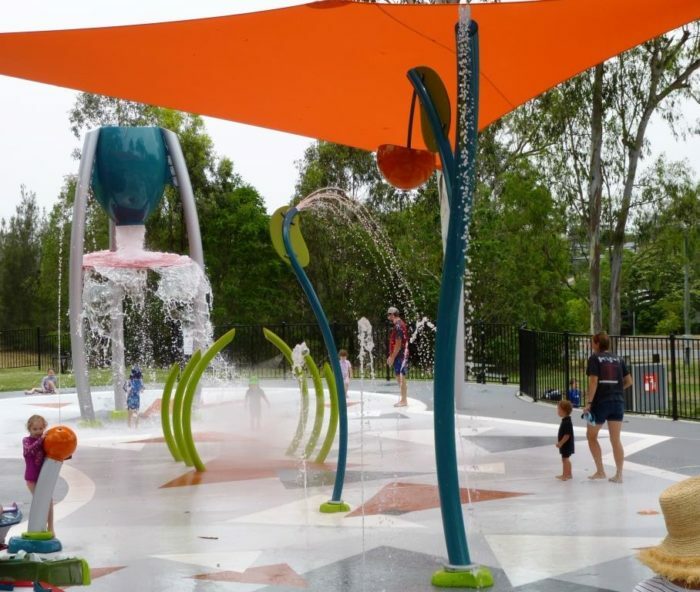 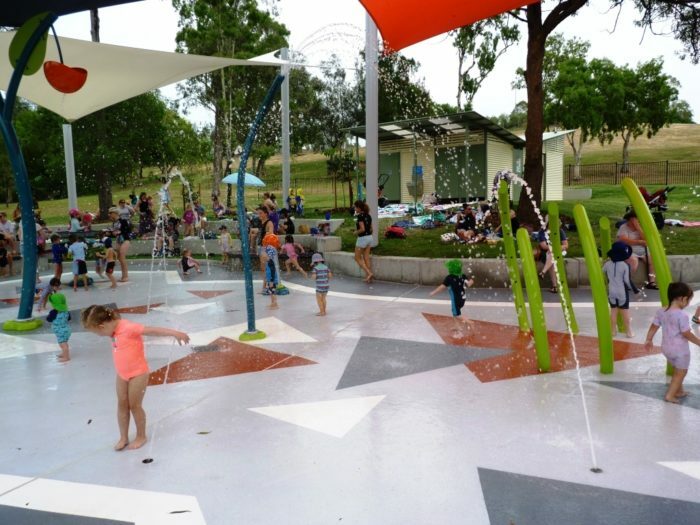 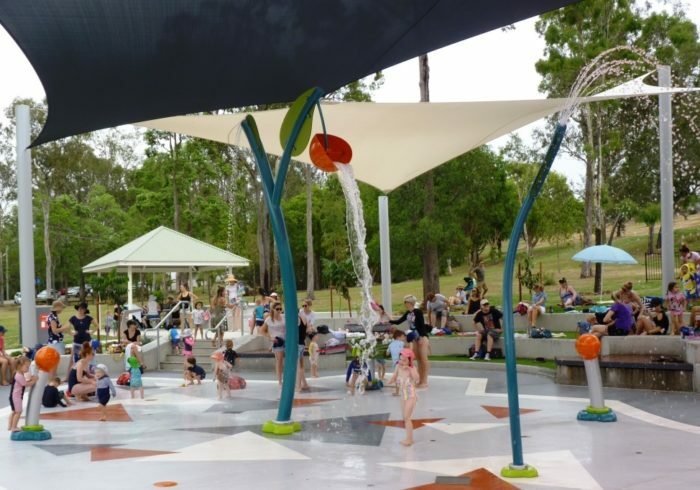 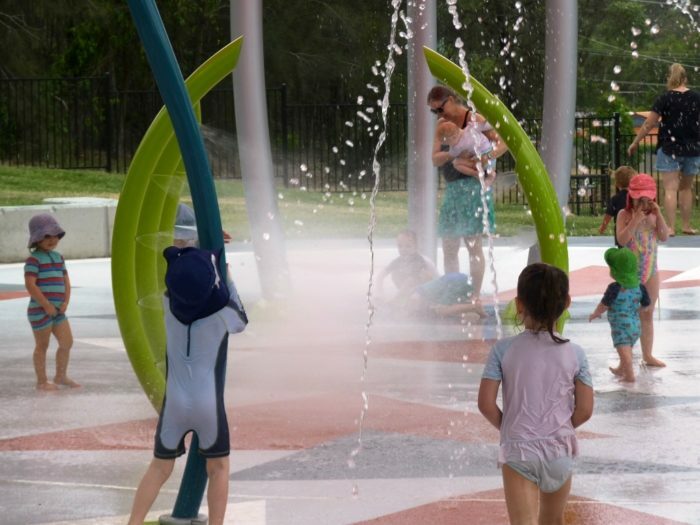 Opened in time for the 2018 summer school holidays with over 2000 people attending the opening weekend, the park provides an accessible and safe interactive wet play environment for all ages and abilities. 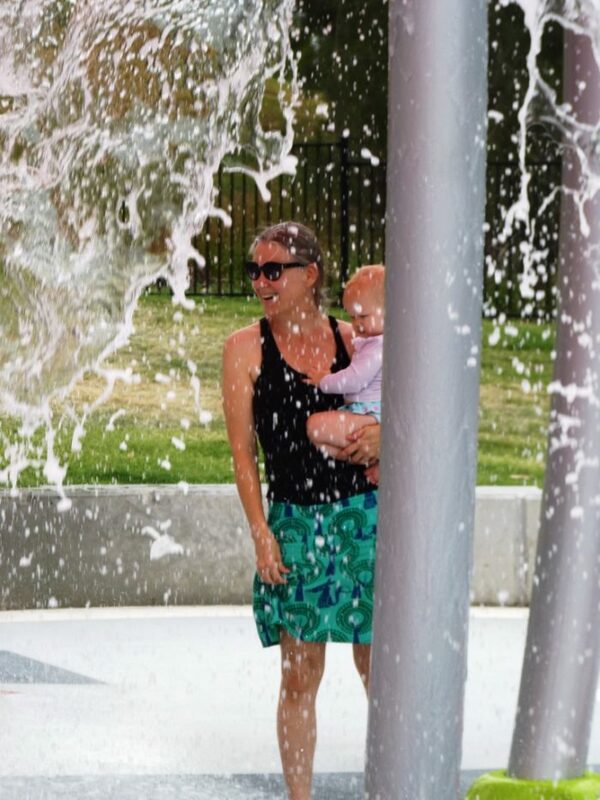 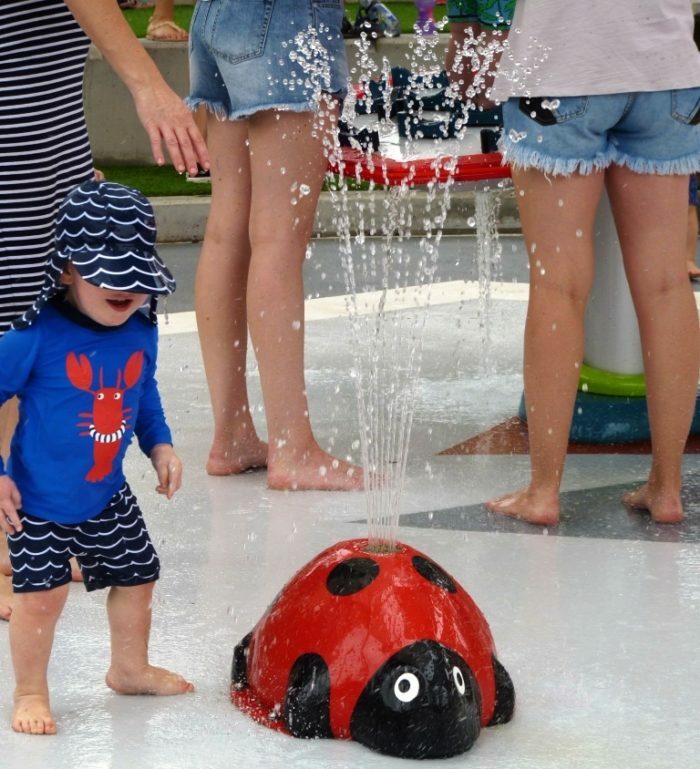 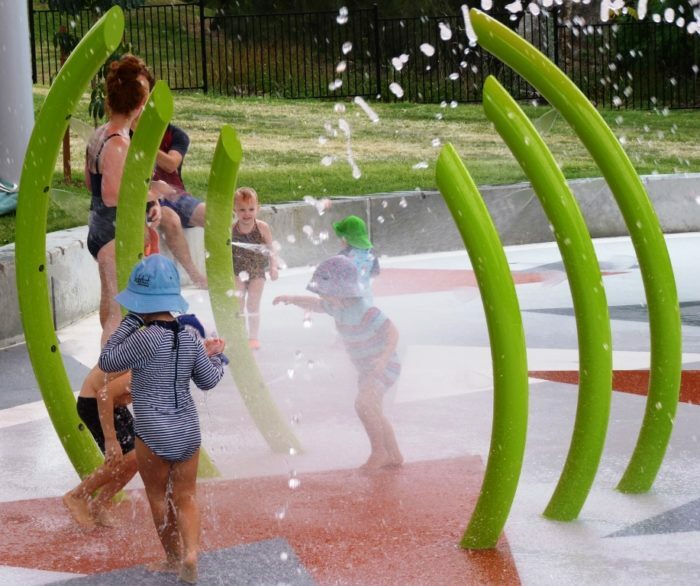 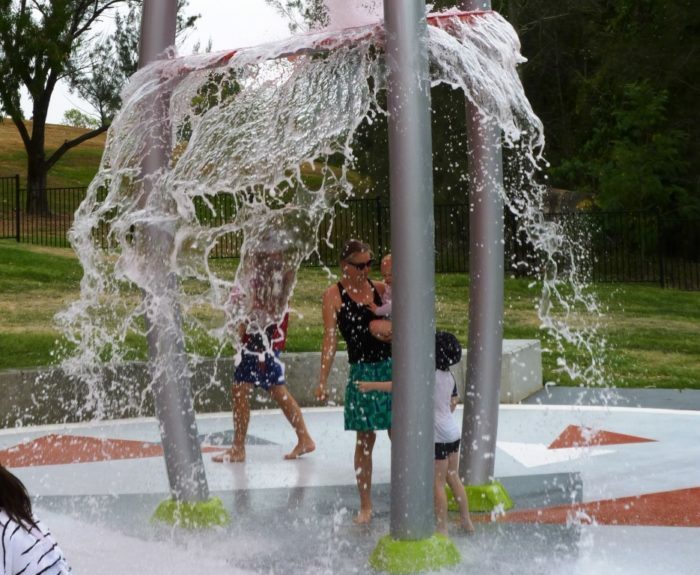 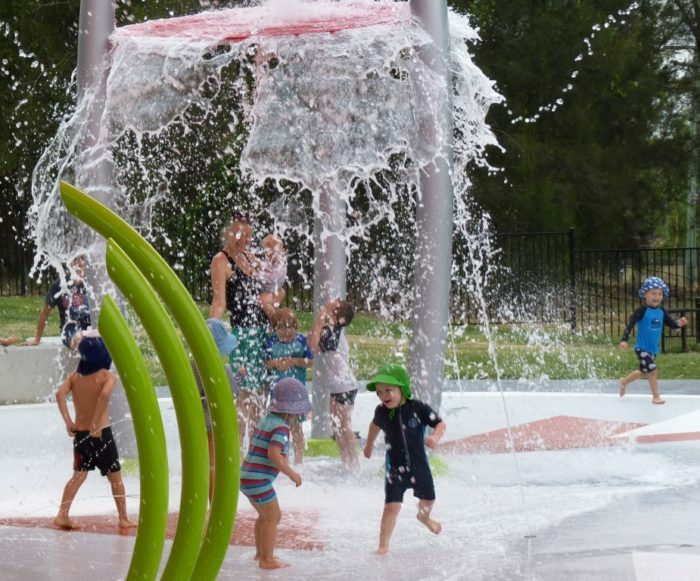 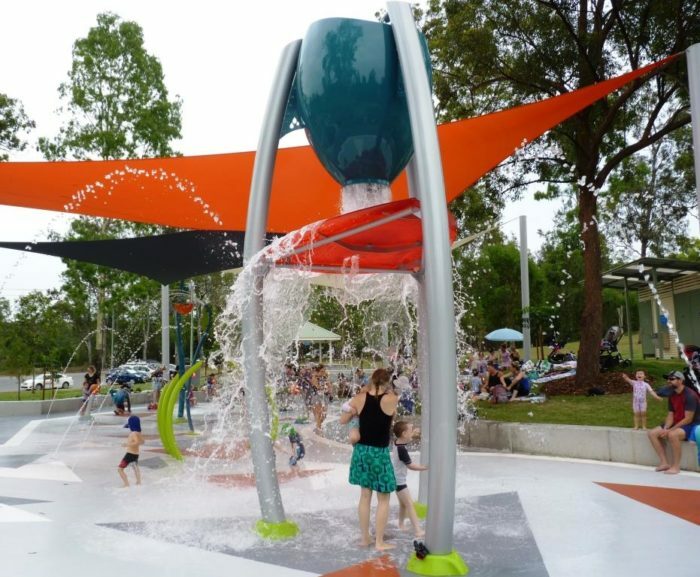 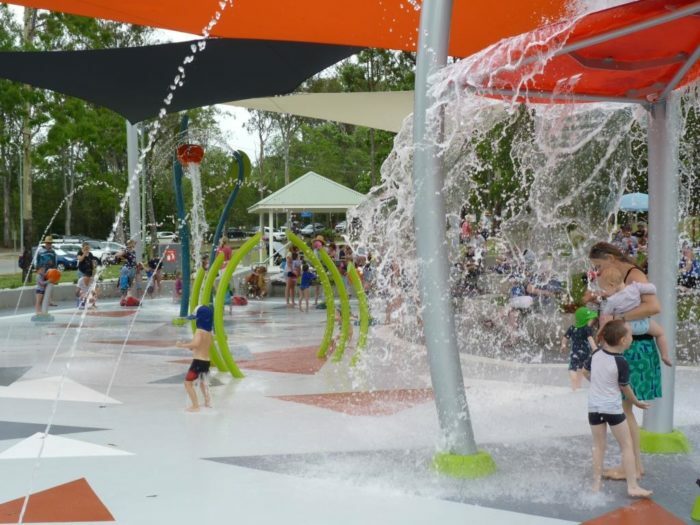 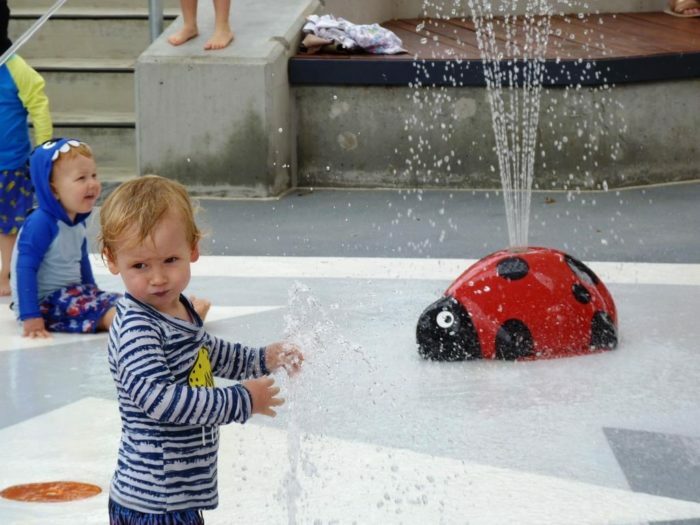 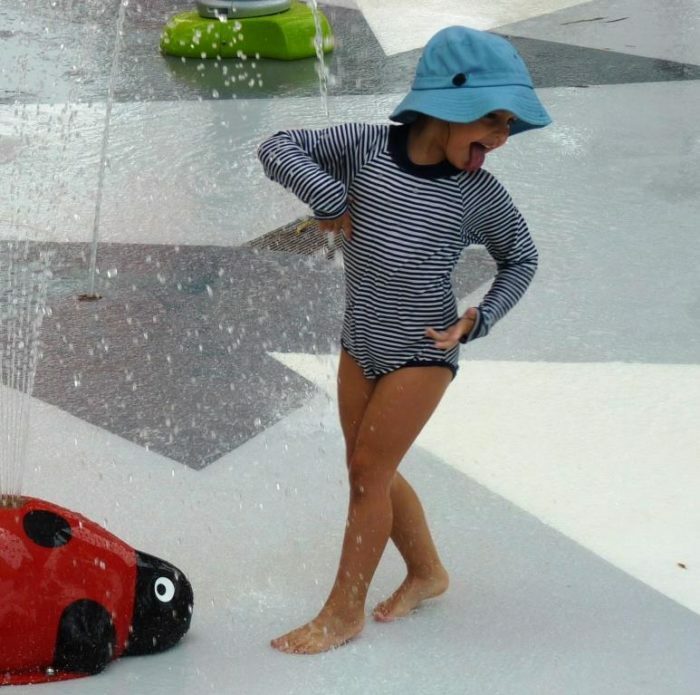 This zero depth single level splash pad boasts a spray tunnel, various ground sprays and misters, water cannons, tipping buckets and an interactive water table provide endless entertainment and wonder for children – while the suspense builds for the release of the massive bucket that creates a flood lasting 20 seconds of 600 litres of water over all those in the vicinity! 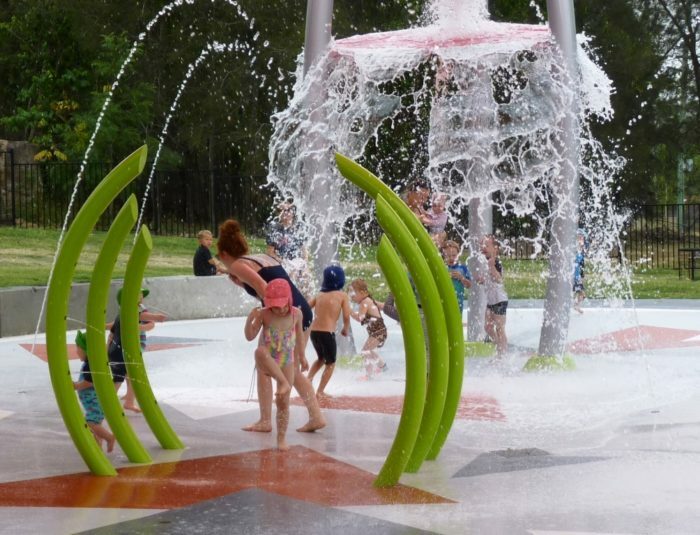 24 ground elements in total have been designed to create a flow throughout the pad as children move to discover the next activation. 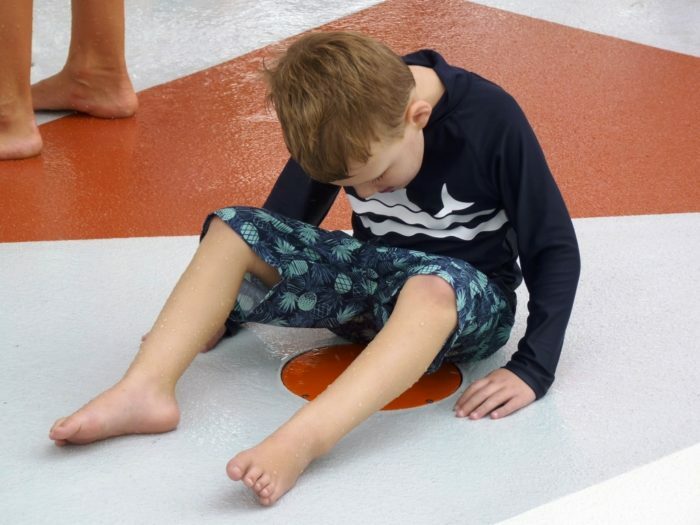 All at zero depth, wheelchairs can access the entire pad to participate in the fun with their friends. 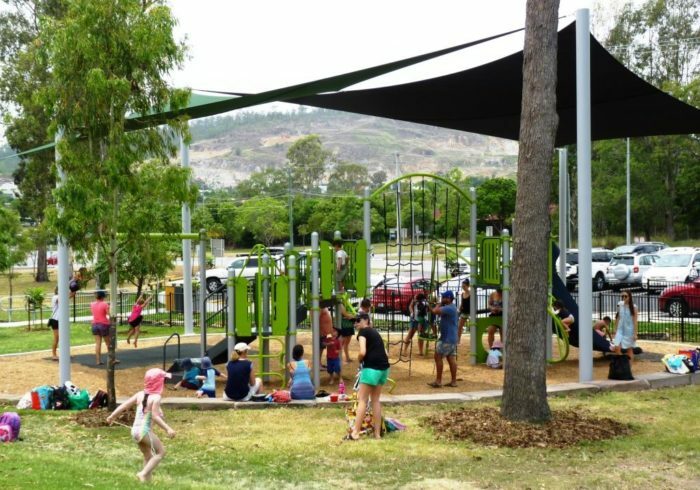 Tiered seating provides a comfortable resting place for parents and carers along with BBQ and picnic facilities so that visitors can stay and play longer. 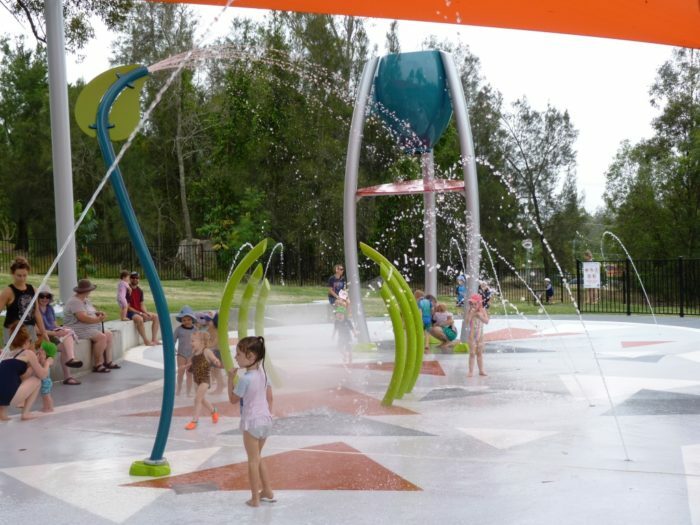 We had earlier completed a playground in the park so this now complements the wet and dry play environment Council has provided as free activities for the community – offering something for everyone on a hot or cold day.